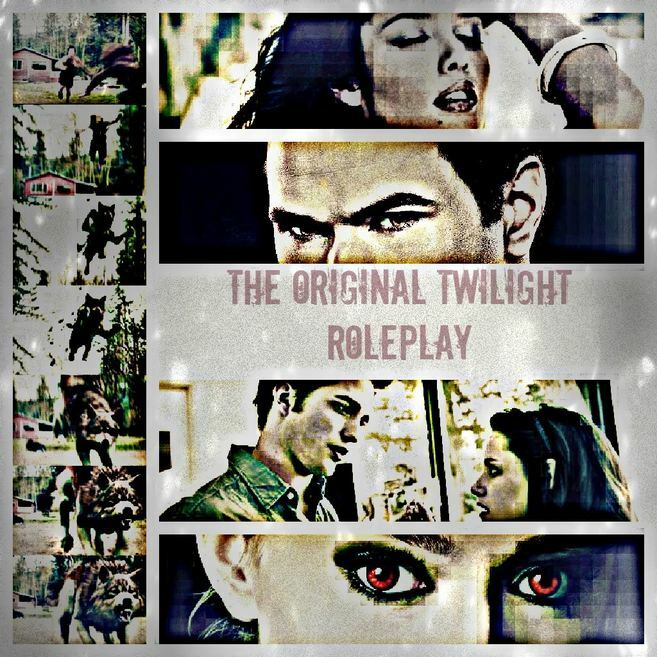 The Original Twilight Role Play is a Twilight fanfiction role playing community. Created with the goal of allowing fanfiction users to interact with each other while escaping the daily world through the daily lives of Twilight characters. Other than role playing, the forum has public threads opened, such as 'Advertise TwiFics', a chat, and a review game. Opened 24/7 for anyone looking for a good time. The role play is character interaction through characters in the Twilight world and is a great outlet to put stress and ideas through -- experienced writers and writers looking for inspiration can improve many aspects of writing and reading skills. It's a relaxing, fun, and simple way to write out characters, enjoy the Twilight universe and members of its fandom, and improve your writing skills without any effort at all. The role play is a friendly place with members of both genders, aging 13-retirement ages, and no discrimation. If you're looking for a good time, join in this thriving community, please, PM TheBloodyWhiteWolfxoxo to let her introduce you to the fun. The forum is opened for users above the age of thirteen, and due to its steady pace, people interested in joining should have a little bit of free time a few days a week to be able to come in and participate. They're looking for a Jacob Black at the moment.